Donna has gone all out on this layout featuring Queen & Co.'s beautiful range of products and her cheeky little daughter. 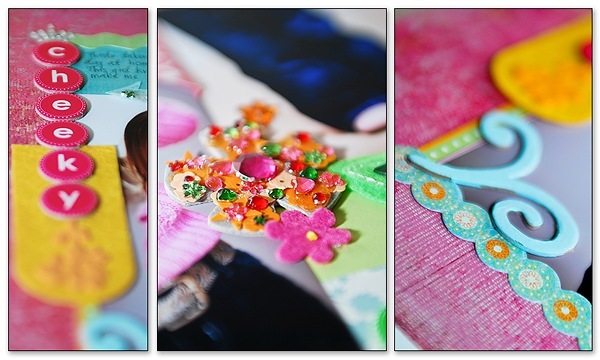 She has utilised Q&Co chipboard, combined with sequins and jewels, to create the focal flower embellishment and finished it off with some beautiful alpha dots and painted chipboard from the 'Friends' chipboard theme pack. Caz has chosen a pink and black colour scheme for this layout of her eldest daughter and her 3 close friends. She decided that the Queen & Co Kissy Fit range was a perfect match for the assorted papers she had chosen. Caz sanded the edges of the fontastics letters and added them directly to her photo. A Bon Bon brad forms the centre of the unusual flower created using 2 difference Heidi Swapp florals folded in half. By attaching the felt to the candle using sequins and brads Chris created this purely decorative home decor item which looks stunning on the display shelves in her kitchen. As our piles of photos-to-scrap become larger and larger, many of us go searching for fun and unique ways to scrap multiple photos on a single layout? Look no further! 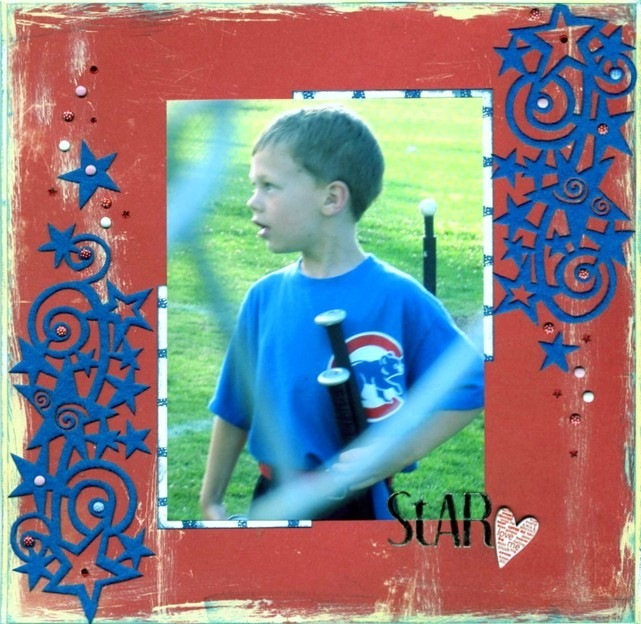 Lisa Risser has created beautiful layout to showcasing a rather large selection of summer photos. 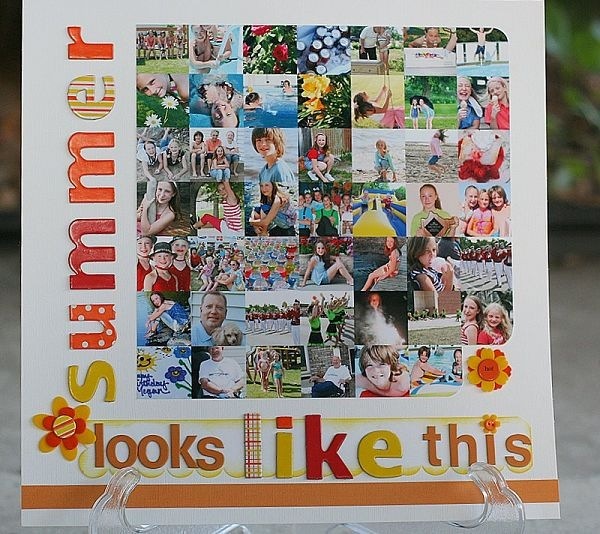 The colours of summer - popping right out of her photos - are perfectly matched with a few Queen & Co brads and their funky chipboard letters. What a simple, yet exquisite use of products. We are thrilled to share with you this adorable altered mirror by another of Queen & Co's dt members, Wendy Reed. 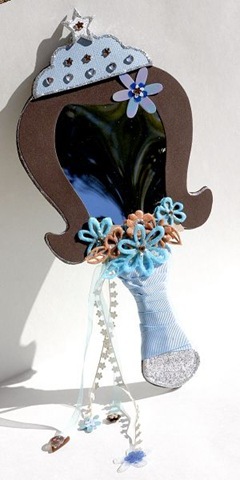 Wendy has beautifully incorporated some luscious felt ribbon to create this very girlie, and absolutely necessary, accessory! Thanks Wendy. 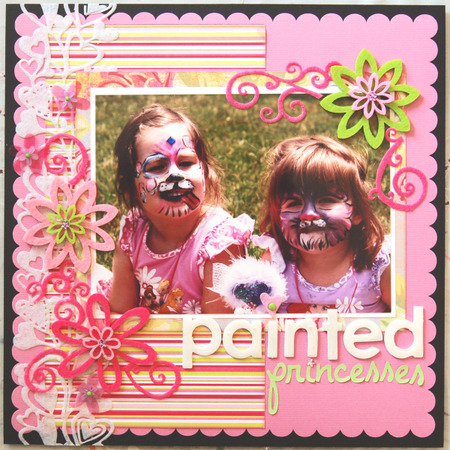 What is more gorgeous, the sweet painted faces of the children or this layout by Anabelle O'Malley? Large and Small Felt Flowers from the Brights Collection, combined with the older Fab Flowers, Sprinkle Brads and Fontastics (painted white with UTEE on them). Another fabulous layout from Queen & Co design team member Anabelle O'Malley. 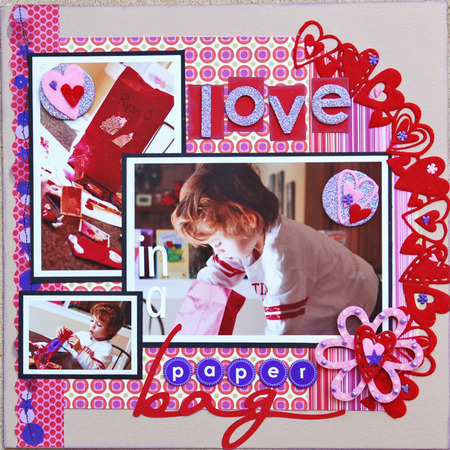 We loved the bright colours in this layout and the way Anabelle has curved the Red Heart Felt Fusion around her main photo. Anabelle altered the fontastics letters once again. This time with purple glitter. 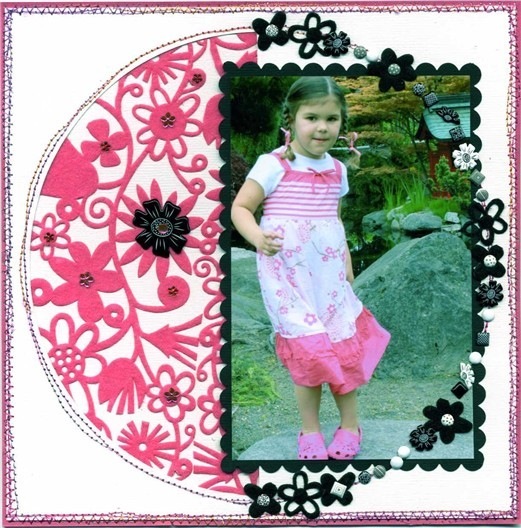 These two stunning layouts and card are shared with the permission of the talented Linda Beeson from California. Unfortunately they were amongst the layouts that went missing from the CHA booth recently. The first layout 'Star' featured the luscious new Felt Fusion Ribbon in Star Swirl Blue. A scattering of Mini sprinkles and a heart shaped Bold Brad finish off a lovely page. 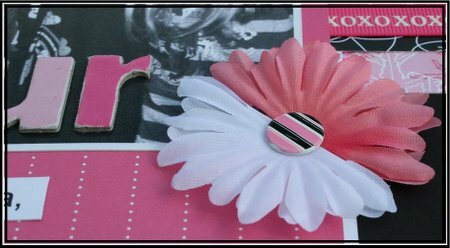 The second layout has a semi-circular shaped window cut in it and Linda has laid strips of Felt Fusion Floral in Hot Pink behind it. The circle was continued around and over the photo using various sequins, brads and flowers in the 'soul mate' colours. A simply stunning effect. Thanks Linda for allowing us to share two precious layouts. We continue to hope that these and the rest of the Queen & Co's design teams' hard work are recovered safely.